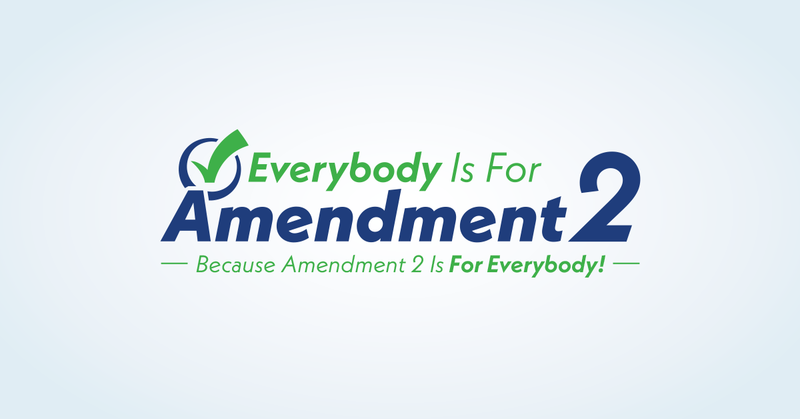 Because Amendment 2 Is For Everybody! Florida Realtors officially kicked off its campaign to pass Amendment 2, which gives voters the chance to make a 10 percent cap on annual non-homestead property tax increases permanent. The initiative will appear on the 2018 general election ballot. Visit, http://everybodyisfor2.com/ for more information on this campaign. What exactly does Amendment 2 do? In 2008, voters passed a constitutional amendment that limited how much non-homestead property taxes could increase from year to year. In 2019, that yearly cap is set to expire. If Amendment 2 passes, it will make that cap permanent and will protect renters, businesses, and other property owners. Is Amendment 2 a tax cut? Amendment 2 is not a tax cut or tax increase. It prevents taxes from skyrocketing, hurting the economy and making rents too expensive. Simply put, Amendment 2 keeps a cap—already in place—on how much local governments can increase certain property taxes every year. What happens if the cap isn’t renewed? If Amendment 2 doesn’t pass and the cap isn’t renewed, certain property taxes could increase by unlimited amounts every year. Much like before the cap was passed by Florida voters, local mom-and-pop stores could see their property taxes increase by 30%, 50%, or even higher—and that would be devastating. Renters could also see their rents skyrocket as landlords pass the extra taxes on to them. Passing Amendment 2 will protect these groups, and more. How will Amendment 2 affect me? If Amendment 2 doesn’t pass, everybody in Florida will be affected. If you own a vacation rental, business, or any property other than your home, you could see your property taxes greatly increase. Even if you don’t own any of these, you would still feel the impact because many businesses would pass their increased costs on to you because their taxes increased. By passing Amendment 2, we can protect all Floridians from dramatic tax increases and the higher prices they bring with them. 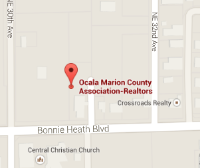 Will Amendment 2 affect properties with homestead exemptions? No, Amendment 2 has no direct impact on homestead exemptions. It only affects those that own non-homestead properties. Simply put, non-homestead property is any property that does not have a homestead exemption or other special exceptions under Florida law. Common examples of non-homestead properties include businesses and rental properties. Will Amendment 2 affect schools and emergency services? Funding for our schools and emergency services will not be affected by Amendment 2.
Who is supporting Amendment 2? Amendment 2 has a large and diverse group of support. Local businesses and renters support it, as do your local Realtors® and Chambers of Commerce. Who benefits from Amendment 2? Everybody does! Voters took action 10 years ago and overwhelmingly agreed to stop yearly tax hikes. Even though Amendment 2 only affects certain property taxes, it benefits everybody by keeping Florida an affordable place to live, work, and do business. Do out-of-state businesses or residents benefit from this? 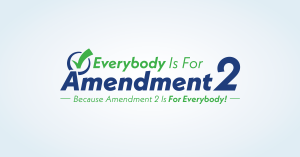 “Amendment 2 is for Everybody” isn’t just a catchphrase, it’s the truth. Anyone that owns non-homestead property in Florida will benefit. Keeping property taxes low for out-of-state businesses and residents that are looking to invest in Florida property is good for all of us because it helps grow Florida’s economy and brings jobs to our state. What does the amendment text say? LIMITATIONS ON PROPERTY TAX ASSESSMENTS.—Proposing an amendment to the State Constitution to permanently retain provisions currently in effect, which limit property tax assessment increases on specified nonhomestead real property, except for school district taxes, to 10 percent each year. If approved, the amendment removes the scheduled repeal of such provisions in 2019 and shall take effect January 1, 2019.